I started "Kind of Pink and Purple" December 29th, 2013. It was winter break from school, and I was listening to Miles Davis, and "Blue in Green" came on. After one note I was struck with such an emotion that something told me I needed to tell everybody about it - about jazz. It was simple, it was calm, relaxing, emotional. My first post was, "Reasons why I love jazz", which I explained through songs that changed my life. Through these songs I wanted to show the real human connection between jazz and people, and break down stereotypes on 'who listens to jazz'. If I could show one person one jazz song that they liked, then I would be happy. So after one year of writing every week, even multiple times a week, I wanted to look back once again on the reasons I love jazz. And I wanted to explain it through the people that have changed my life. Because it's so relaxing. 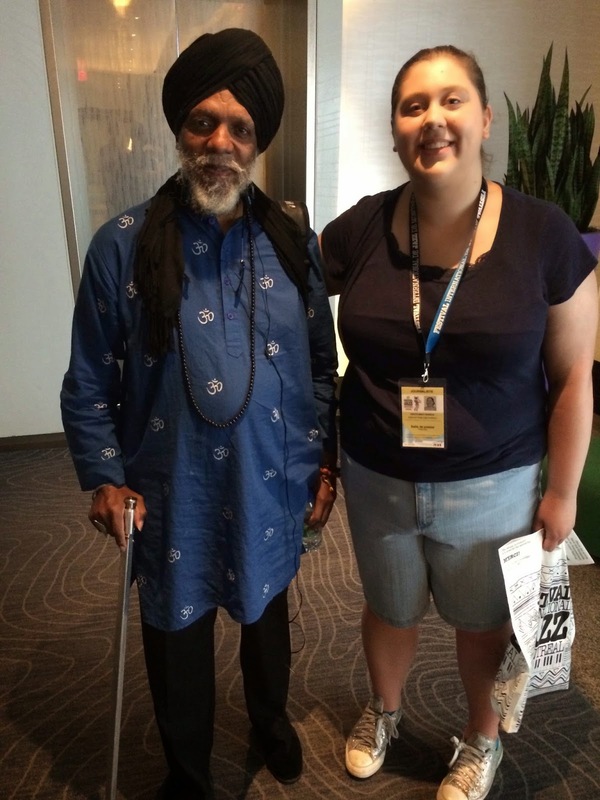 Because when I met him at the Montreal Jazz Festival he was so supportive. Because he was genuinely kindhearted, and told me that I was an old soul that came back to complete an unfinished task - to spread my love of jazz. Because he told me to surround myself with people that lift me up instead of naysayers that only want money. Because in his music I hear his heart, and I am forever grateful for his words of wisdom. Because it's so absolutely gorgeous. Because at his Harvard Lectures he told me that in order to be happy, I should encourage and help others. Because at the Boston Book Fair he told us that in Miles Davis's band if you did something for applause you got fired, which stuck with me. Because his story inspires all of us to keep on burying our heads and ears into the world of life. Because his music illustrates humanity - and we are all humans before musicians. Because this song captures music and life at another level. Because the Blue Note concert went beyond life into spirituality. Because the band loved each other, and you could tell with all of their jokes. Because Odean Pope went over the audience saying, "Are you there? ", living in the moment. 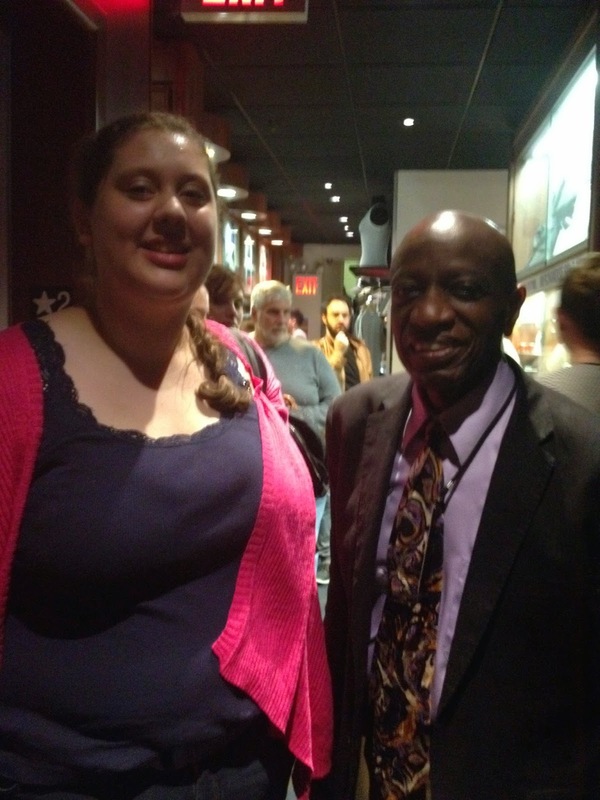 Because Reggie Workman came up to me to say I was a good listener, and encouraged me to share. Because I was so stunned by the sound of it all - I can never forget how truly happy I was in that moment. Because music goes beyond barriers. Because the PoemJazz concert I attended with Iyer and Pinsky changed my view on poetry, inspiring me to write my own. Because Pinsky's poetry class taught me that learning comes down to finding your own examples of the art. Because words are music in themselves, with rises and falls of phrases. Because at an NEC masterclass with Iyer and Moran, I learned that I should not be so quick to take criticism from peers that are at my same level. Because Moran reminded us that there is gold inside of us all. Because Zorn's music knows no genre. Because when I saw him receive an honorary doctorate at New England Conservatory, he reminded us that music is a platform, and music is about people. Because he taught us about paying our dues, creating intensity in intimate music, and community. Because Zorn exhibits integrity down to his core, and his music speaks for itself. Because their music is intensely creative. Because they play every Monday night at the Lilypad in Cambridge. Because when I interviewed Bergonzi and Grenadier, they taught me to keep an open mind and to look at composition and improvisation as two sides of the same coin. Because after attending their concert in August, I wrote my first poem on my blog, "Jazz Club". Because when I saw Arturo at Scullers, he filled the club with joy. Because Arturo supported each member of his band with smiles and laughs. Because Arturo and Ed Calle were so supportive of my drawings. Because he remembers his mentor Dizzy Gillespie and is so thankful for everyone that listens to him. Because even with all his success, he reminds us all of his humble beginnings, giving us perspective. Because Maria captures entire narratives in her music. Because when I saw her speak at the Berklee Jazz Composition Symposium, she spoke against music piracy. 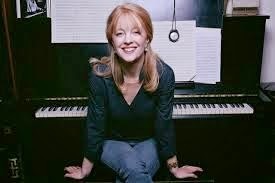 Because when I interviewed her for my Artistry, Creativity, Inquiry class she taught me about composing without boundaries or preset expectations. Because she is a role model, and wants her music to capture people. Because when I interviewed Frank Kimbrough for my class as well, he spoke of how Maria has taken him to her childhood house so he can understand the stories behind her music. Because her music makes me feel like I am hang gliding. Because Danilo's music was fiery and full at the Newport Jazz Festival. 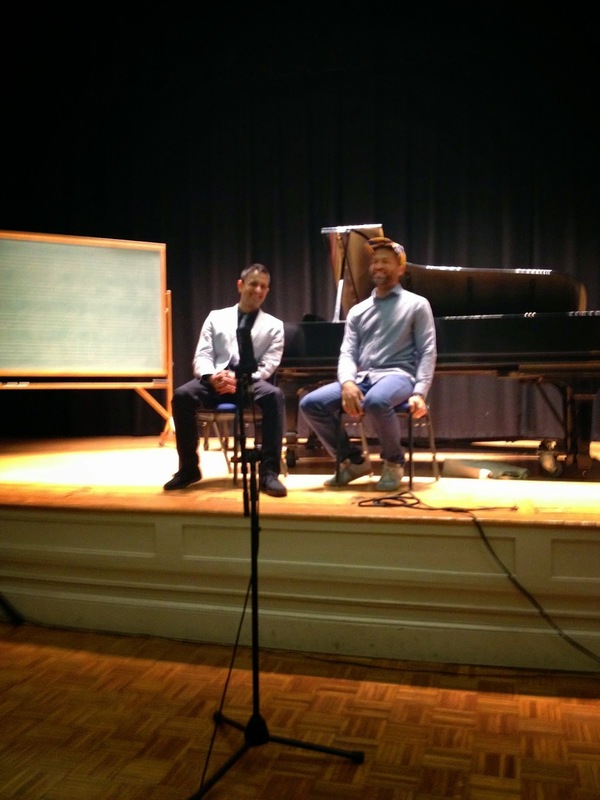 Because whenever I go to the Berklee Global Jazz Forum, Danilo shares so much insight to each student. Because Danilo always ends the forum by reminding everyone to spread kindness. Because Danilo compared improvisation to a little kid with markers, happy to scribble and draw. Because Danilo taught us to not apologize for what we don't know yet - we should play what we play beautifully. Because his music is so energizing. 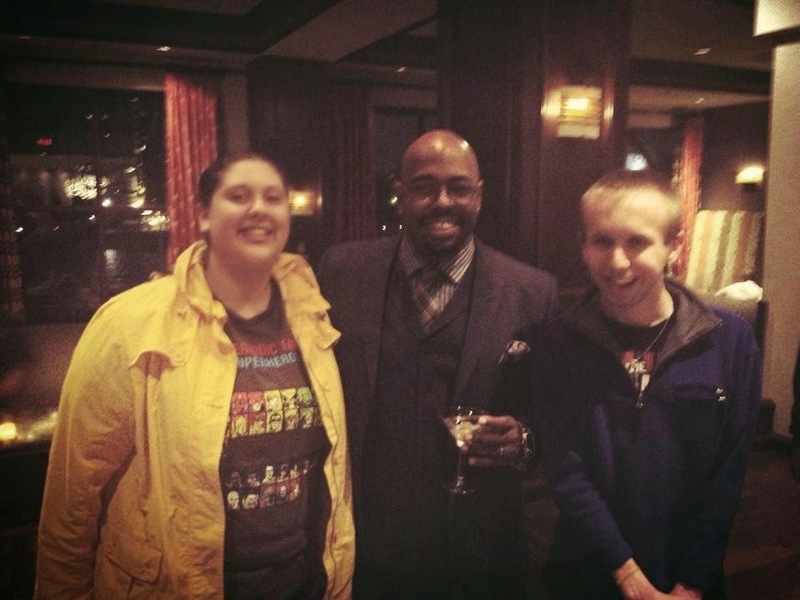 Because his entire band was incredibly kind and supportive of my blog about his concert at Scullers. Because McBride spreads happiness with every note he plays. Because his music is catchy, bluesy, wholesome, hearty, and fun. Because McBride shares his love of jazz on radio, "Jazz Night". Because McBride inspires me to be a leader. This year had its ups and downs, but I have to say jazz and writing have been a rock for me. There are so many people, songs, and stories that continually reaffirm why I love jazz. And in retrospective, being able to share my own love of jazz in some small way has brought me immense happiness - and what more could I ask for? Please read my jazz poetry blog, "Without a Poem", in which I improvise a new poem everyday. 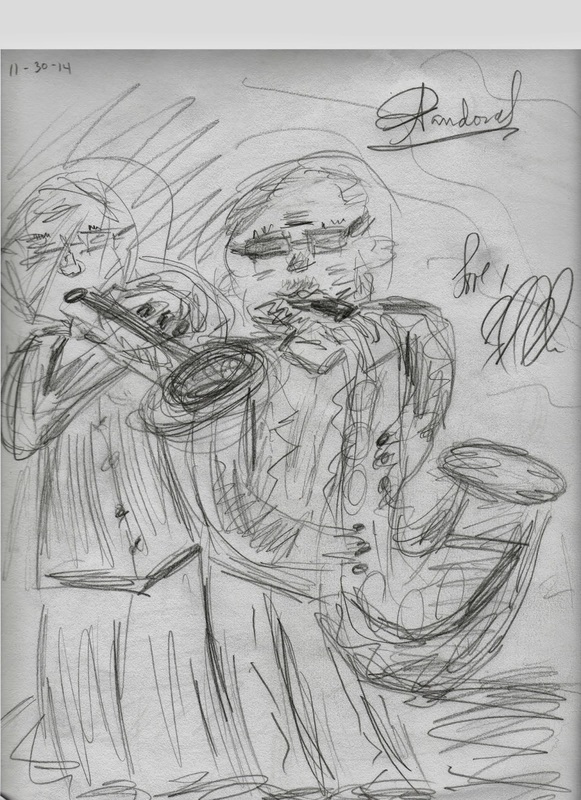 I also incorporate a jazz drawing and song of the day too, so stay posted! Thanks everyone that has ever read my blog! It means the world to me. Wow, what a great set of Jazz Greats and messages.